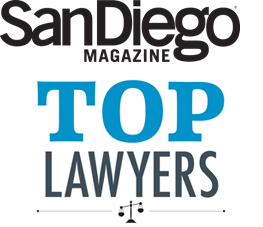 Congratulations to Madeline and Larry for being recognized as Top Lawyers in 2016 by San Diego Magazine. Madeline was recognized in the category of Employment and Larry was recognized in the category of Commercial and Business Litigation. The selection of Top Lawyers is based on the Martindale Hubbelll® AV rating system. Both Madeline and Larry have reached an AV Preeminent rating, a recognition achieved through evaluations from fellow lawyers and members of the judiciary and the bar.